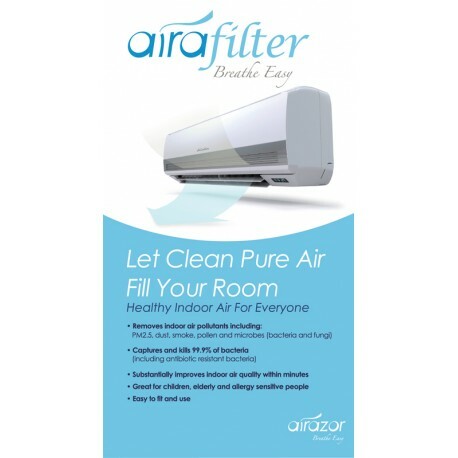 The filter is specifically rated to remove harmful PM2.5 particles, smoke, dust, pollen and microbes. 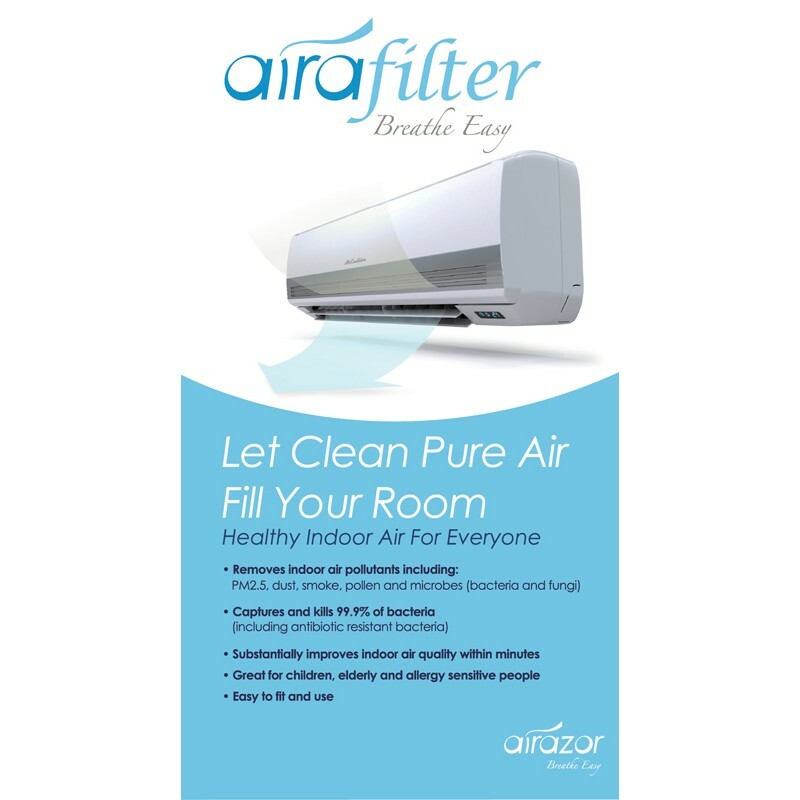 Its anti-microbial filter is designed to capture and kill up to 99.9% of airborne bacteria - including antibiotic resistant bacteria for a healthier environment in homes, classrooms and childcare centres. 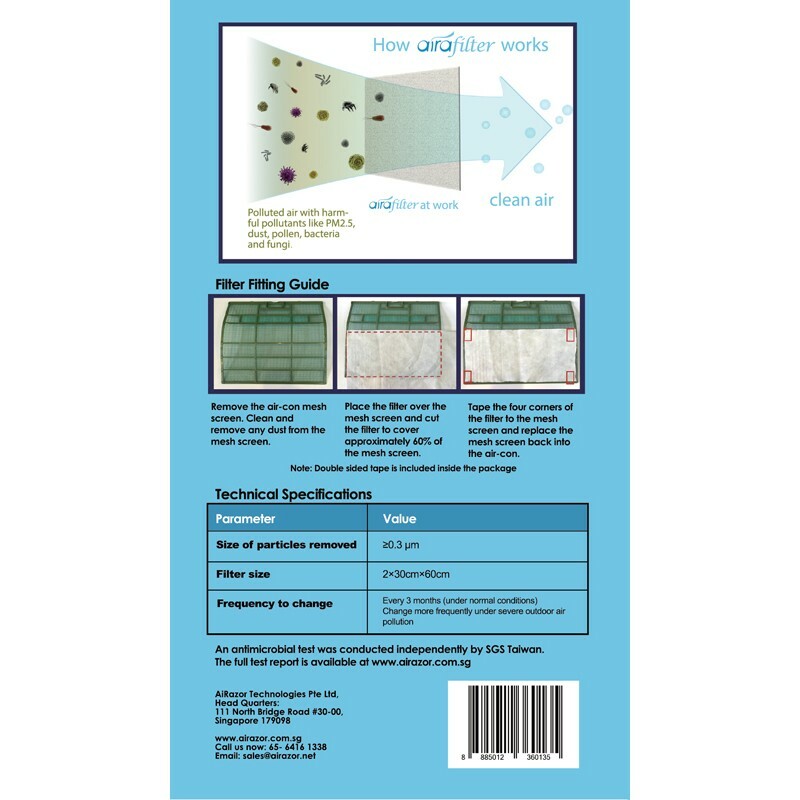 One pack contains 2 pieces of 30 x 60 cm sized filter, with attachment tape.